So the trend for lip injections also known as lip augmentation has sky rocketed when one of the Jenner sisters got her lip injected. Lip injection has been around obviously way before Kylie Jenner’s time but its more common today for women to get it done. Women from all over the globe had either got lip grafting done or pursued lip injections. The cost for lip injection starts at 600$ depending on factors like; location, how experienced are the doctors, and what kind of lip injection you’re getting. Before getting the procedure always make sure to do your research on both the doctors and the facility. To help secure your decision pay attention to the customer’s reviews. There are several brands out there and each one achieve a different results that is why it’s so important to find a skilled certified Plastic Surgeon or a professional Dermatologist to perform the procedure and help you achieve the look you want. The majority of lip fillers used by doctors today are consisted of hyaluronic acid compound. It gives a plumping affect, minimizing wrinkles and fine lines as well as enhancing the lip. Hyaluronic acid is a natural substance the human body already produces naturally, therefore, choosing fillers with hyaluronic acid components can help minimize the chance of allergic reactions to lip fillers. To name some; Juvederm, Restylane, Restylane Silk and Belotero are some of the popular brands out there that contains hyaluronic acid compound. These lip filler brands are used by certified Doctors throughout the world. 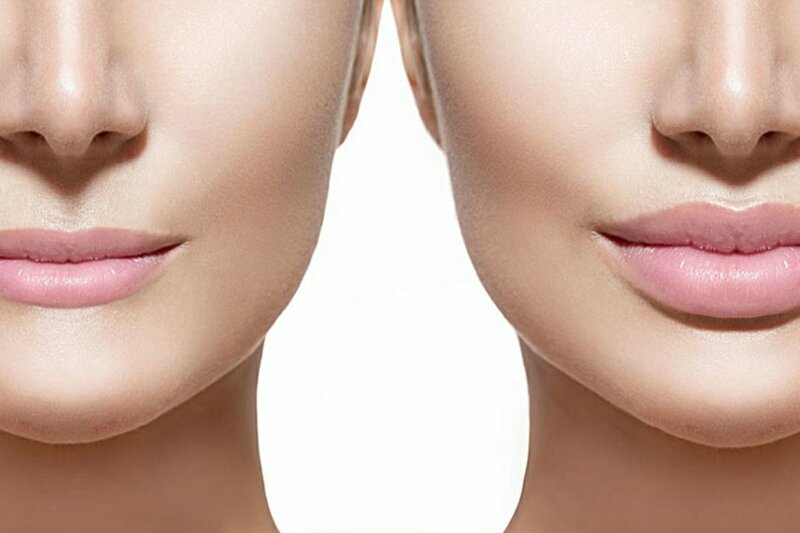 Before injecting the lip with fillers a numbing cream is provided to numb the patients lip and 1cc to 5cc will be determined both by the patient and the professional who’s administering the fillers. Some plastic surgeon only recommend 1 syringe for first time patient with follow-up appointments to achieve the desire goal of having fuller lip. It’s recommended to avoid aspirin before getting lip fillers since aspirin is a blood thinner and can cause a lot of bleeding which can interfere with not only the procedure but causes problems before and after any kind of invasive treatments. One of the side effect notice by patients from realself.com is the form of lump from lip fillers which is fairly common when getting any kind of synthetic lip injections. Lip fillers are not permanent and only last up to 9 months or less depending on what kind of brand your using and how its being injected. Finding the right doctor to perform the service will promise longer results and beautiful lip.